Project Audits conclude with detailed recommendations and actions required to get the program back on-track. It is critical that the program be owned by the organization and not an external consulting firm who conducted the audit. There are eight actions that will ensure successful implementation of the audit report recommendations. Project Audits conclude with detailed recommendations and actions required to get the program back on-track. Implementation of the recommendations often requires on-going support for the management of the program until a program manager can comfortably take over the program. It is critical that the program be owned by the organization and not an external consulting firm who conducted the audit. The Program Manager of the audited project will also probably require continued project coaching and project management training to continue with the on-going management of the program. The key areas that are required to ensure success in implementing the recommendations from a project audit include the following eight actions. Defining and agreeing the program and project team roles. Agreeing on the core program and extended project team member responsibilities. Documenting the roles and responsibilities to ensure that all team members understand their role and what is expected of them to ensure program success. Creating a set of operating rules to ensure all meetings are well managed. The Program Scope Statement is the most important document produced by the program team. It provides a documented basis upon which all future program decisions will be made. As well, it confirms and clarifies a common understanding of project scope among all stakeholders. It forms the basis for an agreement between the program team, the customers, the program director and the steering committee by identifying both the program deliverables and the major milestones. The Scope Statement identifies the criteria used to determine if the program is completed successfully. The core program team will develop the Program Plan. Each core team member should work with their project team to further define the detail required to ensure success in the execution of their portion of the work to be completed. The program and project plans should include: a detail of the tasks to be done, their durations, their dependencies and their costs. It should also identify project milestones and include the resources required to execute the work. This will go a long way to obtaining commitment from resources towards a successful program. The management of project risks deals with uncertainties throughout the program. This requires a structured approach that should be documented in a risk management plan. Risk management aims to minimize the impact of potential negative events and to take full advantage of the opportunities for improvement. An in-depth risk assessment should be completed soon after the audit report and then, on a continuous basis to ensure risk is no longer a concern to the successful completion of this program. This will provide the program team with a list of what to do to reduce risk likelihood as well as a mitigation plan to manage risks, should they occur. Determine the types of changes that will be permitted on the program. Create a process to be used for requesting a change to the program. Develop a change request process including a change request document and change logs. Develop a process for reviewing change requests. Review the process to approve/reject the change. Agree on a process which will ensure all approved change requests will be added to the program plan. Develop a communication and reporting process to meet the requirements of the Steering Committee, Executive Sponsor and other key stakeholders. Determine the frequency and content expectations of the reports. Develop the reporting formats that meet the identified requirements. Create weekly program team meetings and process. Establish weekly project team meetings and process. Identify other reporting and communication requirements to ensure all stakeholders are continuously up-to-date on program progress. Address any issue, concern and/or challenge that the program manager may be encountering in the management of the program scope and plan. Identify and help manage situations where resource constraints are impacting program success. Manage situations where differing customer expectations are creating difficulty implementing the program plan. Respond to queries regarding various situations when managing the program. Address risk issues which are impacting program success. 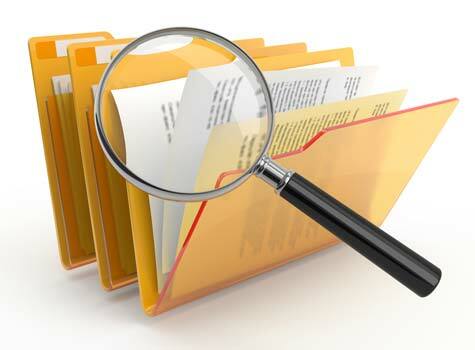 Program audits identify a number of short-term recommendations and actions required to get the program back on-track. Following this process to implement the project audit recommendations ensures the project benefits from the report’s findings.